and we do it well! 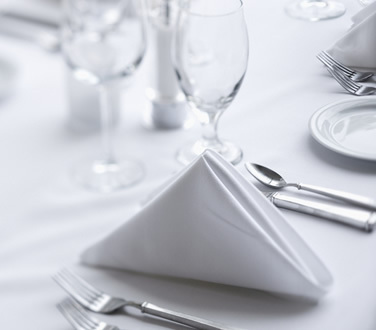 Laundry & Linen Hire is one of London’s finest linen hire companies that only supplies London’s top rated establishments within the hospitality and catering sector. Whether you are a prestigious hotel, a Michelin Star restaurant or a corporate catering company, we can handle all your laundry needs. Starting as a small family run business we have gained great success and grown to where we are today by continually undertaking a hands on approach and implementing high standards throughout the laundering process. We pride ourselves in providing a first class service, consistently. We offer our customers superb high quality white 100% damask cotton table linen with a crisp feel. Apart from white, we offer a host of different colours, patterns and sizes. All linen is pressed, starched and folded to your requirements. 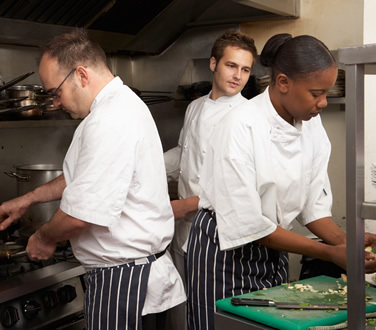 If your kitchen staff are not comfortable, then as you are well aware, they do not function as efficiently as possible. The kitchen wear we supply is both functional and comfortable. Our chef’s uniforms come in cotton rich fabrics and are laundered to food industry standards. 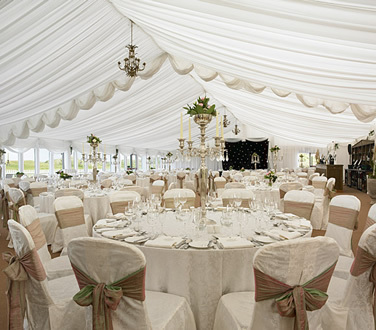 For those times where you might have a large wedding party or a banquet to cater for, we are able to offer what we call our special occasion linen whereby we can supply you with large sized table linen in various different designs and colours to suit the occasion. 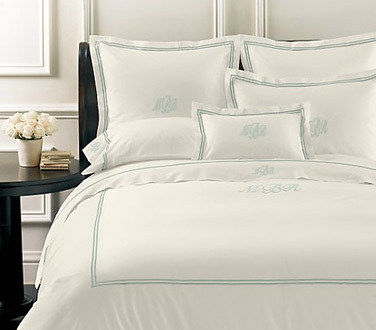 Our luxury bedroom linen collection is of the finest quality available on the market. The collection includes genuine 100% Egyptian cotton percale duvet covers, pillowcases, bed sheets in sizes ranging from single to super king bed linen. All our linen is fully mercerized.